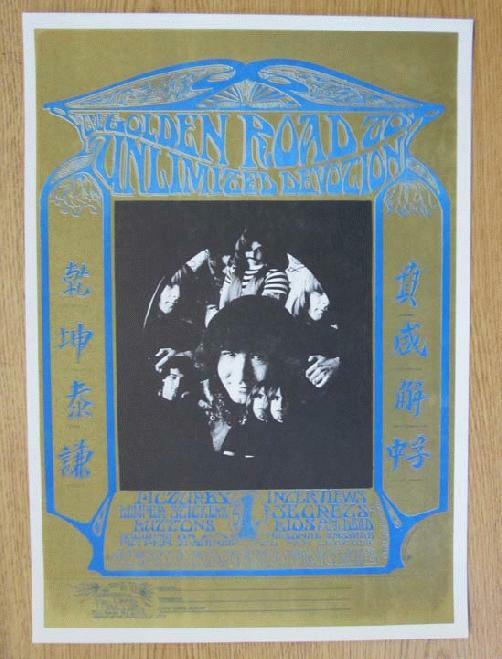 Original poster for The Grateful Dead's fan club Golden Road to Unlimited Devotion from 1967. 14 x 19.75 inches. Artwork by Stanley Mouse and Alton Kelley. Light handling marks.